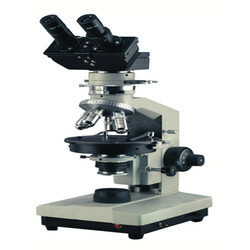 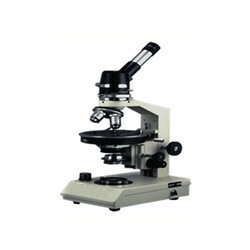 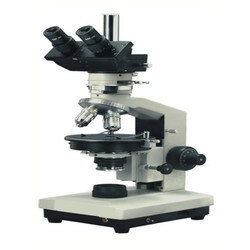 We are a leading Manufacturer of monocular polarising microscope pol 3, polarising microscope pol1, polarizing microscope pol 4, polarizing microscope pol 9, trinocular polarizing microscope pol 5 and trinocular polarising microscope from Mumbai, India. 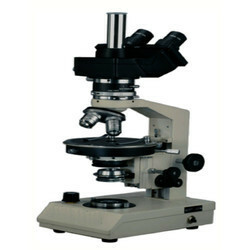 Objectives Strain free Achromatic, Semi-plan Objectives P-4x, P-10x and P-40x Spring loaded. 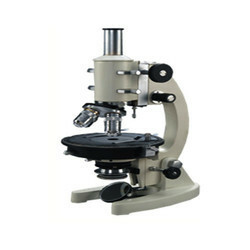 Stage Compact ball-bearing rotating stage, graduated 10 increment with vernier, Stage rotation lock screw and stage specimen clips, stage centering knob detachable. 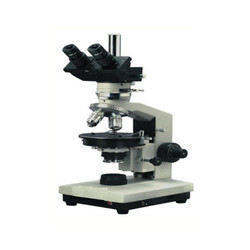 Compensator -Gypsum Plate, /4-Mica Plate. 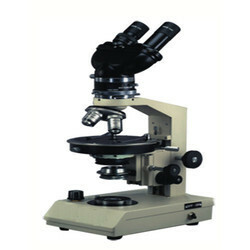 Looking for Student Polarising Microscope ?